"has anybody here seen Hank"
Hank Williams, Long Gone Lonesome Blues. 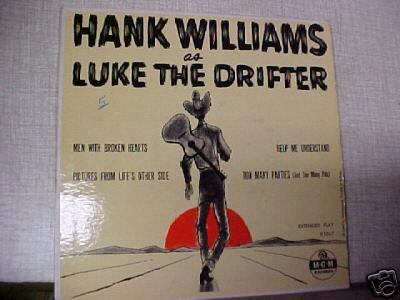 Hank Williams (as Luke the Drifter), Too Many Parties and Too Many Pals. Hank Williams (as Luke the Drifter), Everything's Okay. 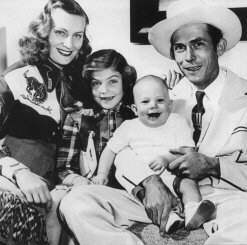 Through no fault of his own, Hank Williams has come to be country music's trademark, the equivalent of Louis Armstrong in jazz or Bob Marley in reggae--the embodiment of his music's potential and the standard by which all who come after him are judged. Whether Williams is overrated at the expense of other great country performers is basically beside the point. History has chosen its man. When some 23rd Century scholar digs through the detritus of our chaotic period and tries to make sense of what "country music" was, she'll most likely conclude Williams was the performer who most mattered. 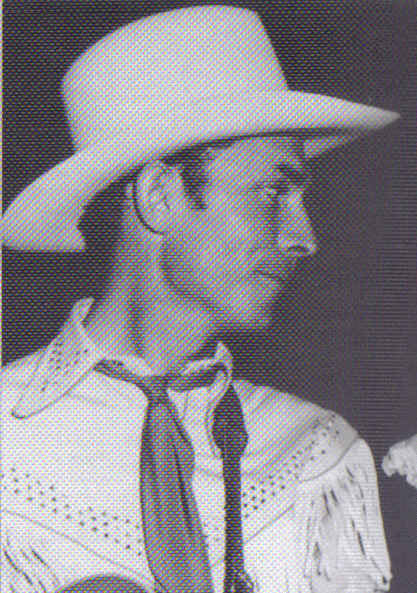 Hank Williams took country music to its limits, cementing the changes that others like Bob Wills and Ernest Tubb had begun to make, turning a regional, folk-based music into a national, songwriter-based music. (Tony Bennett or Al Green covering Hank Williams seems natural, but it's hard to imagine them covering Roy Acuff or the Carter Family.) With the help of Fred Rose, his songwriting parter, producer and general manager, Williams crafted a set of country standards in which the beautiful simplicity of the lyrics, marked by Williams' ability to crystallize a vivid, haiku-like image (like the moon 'hiding its head' behind a cloud), were perfectly complemented by the clean, spare music. And his volatile, often miserable marriage to Audrey Sheppard drove Williams to create a body of heartbreak songs that have few rivals--Why Don't You Love Me Like You Used to Do. Your Cheatin' Heart. Why Should We Try Anymore. I'm So Lonesome I Could Cry. His singing is just as phenomenal--it's a distillation of a half-century's worth of country stylings. In Williams' voice you can hear echoes of Jimmie Rodgers' yodel; the great forgotten minstrel singer Emmett Miller (whose version of "Lovesick Blues" was the template for Williams' 1949 version); Rufus "Tee-tot" Payne, the black Alabaman who was Williams' first, and most crucial musical influence; even Williams' contemporaries Tubb and Acuff. So a Williams classic like "Long Gone Lonesome Blues" rings with history but also seems like something startlingly new. It's a fecund recording--you can sift through it and find rockabilly, modern blues, germs of nearly every emerging musical genre. 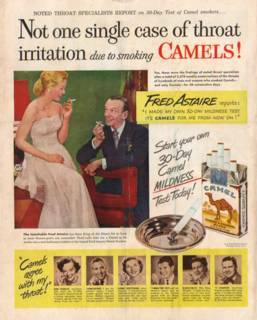 At the peak of his success, Williams also began experimenting. 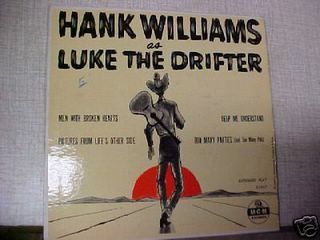 On January 10, 1950, Williams went into Castle Studio in Nashville and recorded four songs that were released as singles under a pseudonym, "Luke the Drifter." The songs were moralistic little fables, sung-spoken by Williams, often over organ accompaniment. The Luke the Drifter songs were meant to be the rebuke to Williams' rambunctious songs, the Sunday sermons to match his Saturday night juke-joint records. "Too Many Parties", with its bizarre narrative in which a judge stands before a jury defending a prostitute who turns out to be his daughter, veers from bathos to fervid testimony--it's an amazing piece, in any case. Another Drifter song from the same session is "Everything's Okay," a testament to country stoicism in which you can hear the smile in Williams' voice. The Luke the Drifter songs would have moderate influence in country and folk in the years to come. The Drifter crops up during Bob Dylan and the Band's Basement Tapes' recordings in 1967 (they would cover a Drifter song, "Stones That You Throw", during the sessions), and is a major presence in Dylan's John Wesley Harding, released later the same year. "Long Gone" was recorded on January 9, 1950 with Bob McNett (elec. gtr), Jack Shook (rhy. gtr), Don Helms (steel guitar), Ernie Newton (b) and Jerry Rivers (d). "Too Many Parties" and "Everything's Okay" has Helms, Hillous Butrum (b) and possibly Fred Rose himself on organ. You can find them both on Hillbilly Hero, an excellent 4-CD compilation chronicling Williams' 1947-1951 recordings. Note from the Mgt: Site updates are going to be pretty spotty for the next month or so, due to a host of reasons, including an upcoming relocation, switching to a new server, intrusions of work and life and some burnout on my part. There probably will be no posts next week. After that, 1950 will get wrapped up pretty swiftly (it's not the strongest year for records--'51, by contrast, is going to be killer). And sometime in mid-April, Locust St. will break the format and have a thematic week of songs, some actually released in the past 10 years. "there's no business like the truck business"
Arthur "Big Boy" Crudup, My Baby Left Me. In 1956 Elvis Presley, flush with first success, emboldened and bewildered by it, could see nothing but a boundless future before him, a future he had somehow crafted himself. He had seemed (for most of the U.S.) to have come out of nowhere that year, and even for Presley the past must have seemed a strange, distant land, though only two years before he had been driving a truck in Memphis. But one day, when an interviewer from the Charlotte Observer asked him about his inspirations, Presley thought back to Tupelo, to Memphis, the songs playing in his head while daydreaming at Humes High School, to the performers whose sound he had craved, whose sound finally had become, after a few twists, his own. "I used to hear Arthur Crudup bang his box the way I do now, and I said, 'If I ever get to the point where I could feel how all old Arthur felt I'd be a music man like nobody ever saw." Arthur "Big Boy" Crudup was born in Forest, Mississippi in 1905, and began playing professionally at the relatively late age of 32, playing guitar with a gospel group. By 1940 he was homeless in Chicago, living in a packing crate and playing on the street, until he was discovered by producer Lester Melrose. Between 1942 and 1954 he wrote and recorded a slew of R&B standards. Tired of being ripped off for royalties, Crudup quit recording in the mid-'50s and only played sporadically in the years before his death in 1974. Crudup had the misfortune to have his major songs covered by Presley at the peak of his powers, so the covers have come to dwarf the originals. Presley's version of "That's All Right" is epochal; his take on "My Baby Left Me" (in which Crudup essentially refitted "That's All Right" with more traditional blues lyrics) is one of the few true rockers Presley recorded after signing with RCA in 1956. Crudup's "Baby Left Me" was recorded in Chicago on November 8, 1950 and featured Ranson Knowling on string bass and Judge Riley on drums. Buy "Baby" here. Percy Mayfield, Please Send Me Someone to Love. One man's loneliness and the bleak condition of the world--can they weigh in the scales? The singer's been reading the papers, lying awake at nights worrying, but he realizes there's not much he can do, and even if the world got burned to a cinder, would it hurt if he got a crumb of happiness before it's all over? Here is his plea. Percy Mayfield is best known as a songwriter--after a gruesome auto accident in 1952 curtailed his singing career, he became Ray Charles' house composer, writing "Hit the Road Jack" and "At the Club", among other hits. But "Please Send Me" was all Mayfield's own, a modern blues standard--some estimate there have been 2,000 cover versions done of this song in the past half-century. "Please Send Me", released as Specialty 375 on Art Rupe's Specialty Records (one of the key labels of the '50s, future home to Little Richard), became a number one R&B hit in November 1950, the same month the U.S. government was debating the pros and cons of using atomic bombs in Korea and China. You can find it on "Poet of the Blues", a fantastic early Mayfield compilation. More on Percy from the Reverend Frost. "She's got ways like the ole crawfish"
Clarence Garlow, Bon Ton Roulet (Bon Ton Roula). Zydeco starts here--three minutes of swampy rhythm steered by Garlow's vocal and an incredible unknown drummer conversing in snares and toms (maybe Peppy Prince, who was Garlow's drummer in later years). Clarence Garlow, born in 1911 in Welsh, Louisiana, was a guitarist, pianist and accordionist who later would tour with Clifton Chenier, mentor the guitarist Johnny Winter and, when he left music, become a jack of all trades, running a drive-in theater, working as a DJ, delivering mail and repairing vinyl siding. 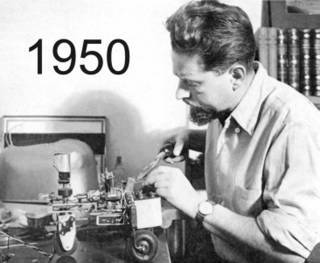 He died in 1986. Over time, zydeco has become interchangeable in the popular mind with "Cajun music", but zydeco was originally made by black Creoles from southern Louisiana, stealing lyrics and sounds from the Cajuns ("zydeco" is derived from the French haricots, beans) and being inspired by R&B and western swing as well. Garlow's hit brought the music for the first time to national attention, and basically inaugurated the genre; the Louisiana tourism board should have given him a stipend. You can find "Bon Ton", which was released as a single on Macy's Records (Macy's 5002) in late 1949 and hit the national charts in February 1950, on an excellent Arhoolie collection of early zydeco. Here's a Garlow discography. "This part perform'd, the goddess flies sublime"
Sarah Vaughan, It Might as Well Be Spring. Sarah Vaughan, Mean to Me. I try to be fairly objective when writing about the music I post, but I can’t this time. It’s Sarah Vaughan, the Divine One, my favorite jazz singer, the woman whose voice, every time I hear it, seems to belong to a higher order of perfection. Sarah Vaughan began as the vocalist and secondary pianist in Earl Hines’ big band, and then sang in Billy Eckstine’s band. Eckstine’s band, in whose bandstand (which included Charlie Parker and Dizzy Gillespie) bebop was germinated, was the greatest jazz group never recorded, due to the recording strike of 1942-1944. She had an amazing range, an incredibly clear and vibrant tone, and she interpreted jazz songs the way John Dryden translated Latin. Vaughan signed with Columbia in the late 1940s. It wasn't a great fit--for five years, Columbia attempted to fashion her into a pop singer, a slightly earthier rival to Patti Page or Doris Day. Sometimes her producers would introduce new songs on the recording date, in the hopes that Vaughan, having had no time to rework the music, would have to deliver the song in a basic, bog-standard manner. Vaughan would have to go elsewhere, to Mercury Records in 1954, to make pure jazz records. 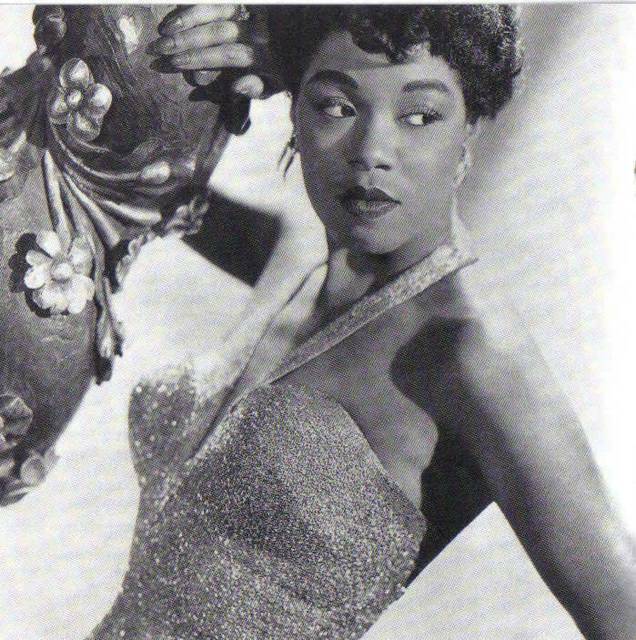 But for two days in May 1950, Vaughan was able to sing, as she rarely did, with a small group of jazz musicians. The group included Miles Davis, who hardly ever in his career would back a vocalist; saxophonist/arranger Budd Johnson, who Vaughan knew from Hines’ band; her long-time accompanist, pianist Jimmy Jones; and guitarist Freddie Green, an old Count Basie hand. Vaughan's glorious take on Rodgers and Hammerstein's “It Might as Well Be Spring” was recorded on May 18, 1950 and features Benny Green on trombone, Johnson (tenor sax), Davis on trumpet, Tony Scott (clarinet), Jones (p), Billy “Pickles” Taylor, Jr. (b) and J.C. Heard (d). “Mean to Me”, in which Vaughan radically alters the vocal line to make it swoop and soar (especially in the chorus following Budd Johnson's tenor solo), was recorded on the following day, with Davis on obbligato accompaniment. Both songs are on “Sarah Vaughan in Hi-Fi”, a nice CD that collects the confusing batch of singles, 10-inch EPs and LPs that constituted Vaughan’s early 1950s output for Columbia. Buy here. A sanctified ancestor of soul music. The spirit moves Archie Brownlee and he follows it. Gospel had become a popular music by mid-century, ruled by singers like Mahalia Jackson and by the great quartets like the Dixie Hummingbirds and the Sensational Nightingales. But it was the Five Blind Boys of Mississippi (not to be confused with their arch rivals, the Five Blind Boys of Alabama) who managed to land a gospel song in the Billboard R&B top 10 chart in 1950--a secular achievement that is still rare, even in such a religion-soaked country as this. The Blind Boys were originally a quartet who met at the Piney Woods School, one of the first Southern black academies and which began accepting blind students in the 1920s. Archie Brownlee, Lloyd Woodard, Joseph Ford and Lawrence Abrams were first known as the Cotton Blossom Singers, then as the Jackson Harmoneers, though their first recording for Alan Lomax in 1937 was listed under the prosaic name "Blind Boys", which ultimately stuck. Brownlee's scorching lead vocals would define the group (until his death in 1960), but it was the addition of a sighted singer and manager, the Rev. Percell Perkins, that brought the group into another league. Under Perkins' leadership (and replacing bass singer Joseph Ford with the wonderfully named J.T. Clinkscales), the Five Blind Boys began recording for first Excelsior Records and then Houston-based Peacock, for which they cut their most popular singles. They were a fearsome bunch--rival gospel groups would say that no one wanted to follow the Five Blind Boys after the latter had inflamed the congregation. "Jesus Gave Me Water", backed with "Amazing Grace", was the Blind Boys' second Peacock single, Peacock 1536. (Their third, "Our Father" would add drums and be their biggest hit around Christmas 1950--you can hear the track on this fine new gospel and soul blog, Hellhounds and Holyghosts.) The Soul Stirrers were so inspired by the Five Blind Boys' version that they re-cut "Water" the following year as a showcase for their new 19 year-old singer, Sam Cooke. "Water" can be found on this fine & cheap collection. More Blind Boys here. Lyrics. If you wish to go back to the source: the KJV Bible on Jesus, the Samaritan woman and their thirsty conversation. John, chapter 4. Great modern gospel at Tofu Hut, and Sister Rosetta Tharpe too. And in case you haven't already, please check out Stagolee week at Honey Where You Been So Long, to which I'm honored to have contributed. Leon McAuliffe & his Western Swing Band, Take It Away, Leon. A sideman's turn in the spotlight. Leon McAuliffe had joined Bob Wills' legendary Texas Playboys in 1935 when he was 18; in the Playboys, McAuliffe, who had started out on Hawaiian guitar, played a four-neck electric steel guitar, each neck in a different tuning. "Take it away Leon! ", Wills' cue for Leon to solo, became the band's catchphrase. By 1950 Western swing was fading--the forces that had brought jazz and country together in the '30s had dissipated. The younger country singers who wanted some punch to their sound were following Hank Williams' lead into honky tonk ( in a few years, the most ambitious and the craziest would start playing rockabilly), the traditionalists now had bluegrass and mainstream performers in Nashville were crafting a refined pop-friendly music. McAuliffe took obsolesence well. He had left Wills' band after the war, during which McAuliffe had served as a flight instructor. For the rest of his career, which extended into the 1970s, McAuliffe was anchored in Tulsa, content to play the old dance hall circuit that Wills' band had itched to break out of years before. John Morthland: "For him at least, Western swing had come full circle." "Take it Away" lacks the wild genius of the great Wills band recordings, but it's fun and catchy, built to showcase a typically fine McAuliffe solo. It was recorded in Hollywood on July 30, 1950 and featured Marvis Billington Jr. on piano and Bob Kizer on guitar, along with a host of uncredited players. You can find it on CD here. Fats Domino, The Fat Man. Fats Domino, She's My Baby. Two weeks before the turn of the decade, Dave Bartholomew, New Orleans' top bandleader, went into the studio with his new find. Bartholomew had heard of a hot pianist playing at the Hideaway Club on Desire Street, and went down to hear him with Lew Chudd, who owned Imperial Records. The pianist, a big 21-year old kid, was playing his reworking of Champion Jack Dupree's "Junker Blues": "They call me the fat man--'cause I weigh 200 pounds!" Antoine "Fats" Domino was born in 1928 in New Orleans. After he left school, he worked at a factory, a job that nearly cost him his fingers, until finding work playing piano with Billy Diamond, who first gave Domino his nickname. When Fats hooked up with Bartholomew, though, it was a partnership that would last years and that would generate an incredible streak of pop hits throughout the '50s. Domino was the first of the great rock and rollers to make his name, and he's the one with the greatest sense of tradition--his sound is not as radical as Chuck Berry or Little Richard's, his presence not as threatening as Elvis'. Take "She's My Baby", his third single, which is pure New Orleans stomp--steeped in a century's worth of regional styles. "The Fat Man" is something else. You can hear a seismic shift when comparing Domino's song to Dupree's 1941 "Junker Blues." Dupree's song is harsh and unsparing. "They call me a junker, 'cause I'm loaded all the time," he sings, with the piano his unhappy, weary partner. His brother uses the needle, his sister takes cocaine, his mother has washed her hands of all of them. The scope of the song is narrow--it's all going to end in prison or in a grave, Dupree doesn't seem to care which. But Domino turns "Junker Blues" into a happy celebration of himself, a bragging testament to the singer's vitality and prowess, and he takes the song out of the grim everyday world. He infuses it with the critical elements of rock and roll: swagger, resilience, a sense of joy, fearlessness and immortality--basically, manna for a teenager. And Domino kicks up the music as well--his piano is louder, faster, at times swamping the recording. Dupree was standing on a street corner in New Orleans, wasted on reefer and getting busted by the cops, but Fats is on the corner whistling at girls. Both "Fat Man" and "She's My Baby" feature Bartholomew on trumpet; Joe Harris (alto sax); Herb Hardesty and Clarence Hall on tenor sax; Alvin "Red" Tyler (baritone sax); Ernest McLean (g); Frank Fields (b); Earl Palmer (d). "The Fat Man" was the B-side of Domino's first single, Imperial 5058, released in January 1950; "She's My Baby" is on Imperial 5077, released in May of the same year. Many of Domino's first tracks can be found on the great New Orleans R&B compilation "Gettin' Funky"; you can also find early Domino here. Like the new look? Is it too harsh? Let me know. I figured a new decade merited new colors. And I was really sick of the original Blogger "Sand Dollar", whose wet mud and squash color combination reminds the eyes of elementary school Thanksgiving decorations. So here's a more austere blue and white set--I'll likely be tinkering with it for a while. Robert Frost, The Gift Outright. 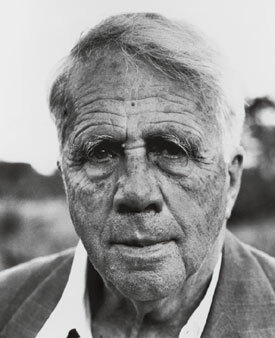 End a weary era with Robert Frost. "The Gift Outright" comes from his 1942 collection, A Witness Tree, and was recorded sometime around 1949-50. It's the poem Frost read at John Kennedy's inaugural in 1961, after Frost had trouble reading the poem he had composed for the day, he gave up and recited "Gift Outright" from memory. Such as she was, such as she would become." I've always liked the last two lines--America started out "unstoried, artless, unenhanced," and would only become more so. Frost could be magnificently cynical at times. Say that a latter-day Rip van Winkle had gone to sleep one summer evening in 1940, listening to a Dodgers game on the radio, and had woken up in the summer of 1949. After shaving off his beard, telling his terrified wife he was awake and reading a few papers, our modern Rip would have been stunned to see how much he had become a stranger in his own home. He had gone to sleep in a quiet, isolationist place, which had seemed safely preserved from the fighting in Europe, and he had awoken in a country that had fought and helped win a massive global war--a war that seems by '49, however, as just the prelude to something even more grim and catastrophic. The U.S. had signed a treaty that spring that had committed it to defending a dozen European countries by force from aggressors. So the next time the fighting starts, we'll be right in there with it, Rip thinks. That's why they still haven't stopped the draft, though the war's been over for years. Ah well, turn on the radio. But Glenn Miller is dead, and they're not playing Benny Goodman anymore. His wife, once she recovered from the shock of his recovery, keeps telling him they need to move. The neighborhood's not what it was. 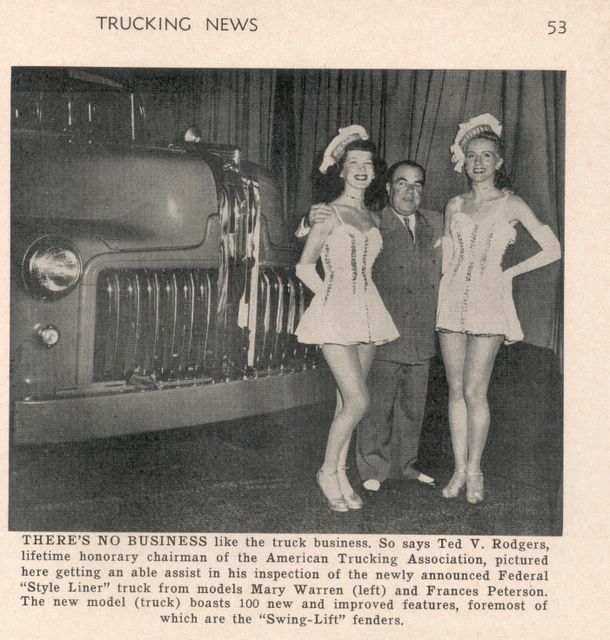 The streetcars have all gone, the tracks torn up (he reads in the paper, on the back pages, that GM and the oil companies got fined for something to do with that), and the city's thinking of running a new highway through the old downtown area. It's just as well--the movie theater's run down and the dime stores are closing. If he hadn't been lying in bed all those years, his wife reminds him, if he had fought in the war like everyone else, he could have qualified for all those cheap mortgages. She wants to move out maybe to New Jersey, where they're building a new turnpike, or out on Long Island. Long Island? There's nothing there but cows, cornfields and places for rich people to anchor their yachts. Who'd want to move there, Rip thinks. And there's something new in the living room, a little box where you can actually see the radio programs and newsmen and watch the ball games. So our Rip sits down to watch the Brooklyn Dodgers play. At least, he thinks, some things will never change. As I've said before, the quality of the movies made this year is unnerving. Banshun (Late Spring). The great wave of Japanese films begins; for me this, even more than "Tokyo Story", is Yasujiro Ozu's masterpiece. They Live By Night. Just incredible. Remade by Robert Altman as "Thieves Like Us." Gun Crazy. "I want action!" In which a gun-loving weirdo meets the lust of his life in Peggy Cummins' outrageous femme fatale. Studded with brilliant scenes--such as a one-take uncut shot of a bank robbery seen from the back seat of the robbers' car, and filmed at a real bank in front of unsuspecting customers. Nora Inu (Stray Dog). Just the start of Kurosawa's golden era. Kind Hearts and Coronets. Mass murder has never seemed so justified, nor so dignified. Alec Guinness plays eight roles, making each one a brilliant character study. Le Sang des Bêtes (Blood of the Beasts). On a quiet workday morning Parisians go about their business, while in the slaughterhouses on the edge of the city, a horse is shot in the head, and calves, tied down to crates, are decapitated, their blood washed into drains by workers yawning and smoking cigarettes. Truly horrific to the point of being almost unwatchable--a film that makes the entire slasher genre seem a bit ridiculous. Whisky Galore! During the war, a whiskey-starved island in the Outer Hebrides is handed a gift from God--a crashed ship with 50,000 cases on board. The Heiress. Yes, it's classic Hollywood, so we get Olivia de Havilland as the allegedly plain Catherine Sloper. 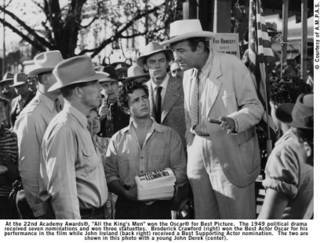 Yes, it's classic Hollywood, so you get incredible sets, glorious tracking shots, Montgomery Clift perfectly cast, and a story told with such economy and grace it seems like a lost art. The Small Back Room. The Archers' final bow--a tense, desperate, brilliant little film. White Heat. Top of the world. Hope everyone has enjoyed the trip. Bill Monroe, Travelin' Down This Lonesome Road. Flatt and Scruggs, Foggy Mountain Breakdown. The Stanley Brothers, Little Glass of Wine. Bill Monroe could rightly claim he had solely founded a musical movement, had basically hammered it up from scratch. Sure, you could say Louis Armstrong forged jazz, but there was Ellington and Fletcher Henderson and Jelly Roll Morton right there with him. Monroe stood alone--he had created bluegrass music, had become its ambassador and trademark. It was an amazing achievement. It didn't matter. 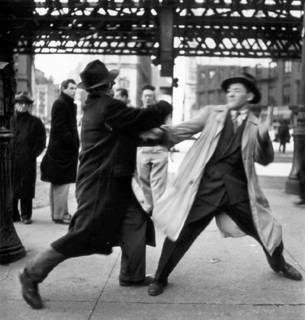 By 1949, Monroe had become a vengeful, bitter man. The heart of his band, the Blue Grass Boys, had defected. First to leave was Earl Scruggs, who had joined Monroe's band in 1945 and had utterly remade the banjo--turning it from a 19th Century throwback whose role was just to keep the rhythm into a wild lead instrument, using a three-finger playing style that spit out notes at a furious pace. And soon after Scruggs, Lester Flatt left the band. Flatt was the Blue Grass Boys' lead guitarist and singer, and had co-written most of the band's best songs with Monroe. But like Scruggs, Flatt could no longer take Monroe's unrelenting touring schedule and vicious temperment. Sure enough, he teamed up with Scruggs and other disgruntled Monroe veterans--bassist Howard Watts and fiddler Jim Shumate. 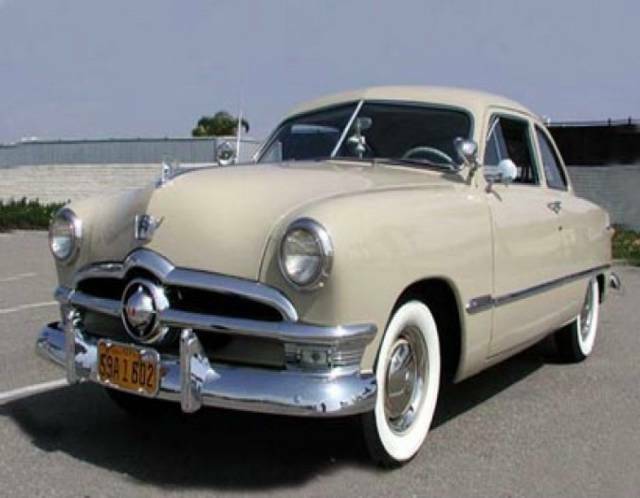 Flatt and Scruggs landed a contract with Mercury in 1948 and issued a series of popular singles, making much greater inroads into mainstream country than Monroe ever had. "Foggy Mountain Breakdown" is pure Scruggs, moving at a tempo that simply demands people to get up on the dance floor. Bluegrass, after all, is a beautiful reactionary movement. It's a swerve away from country music's mingling with swing in the '30s, as well as the coarse, loud new honky-tonk music. Bluegrass goes back to the well--the songs center around subjects that a 17th Century farmer in Sussex could have related to: God, long-lost loves, death, blue-eyed girls, bad weather. But bluegrass was modernist in its own way--the finger-flaying picking of Scruggs, for example, which even borders on atonality at times, and the breakneck tempo and sophisticated harmonics of Monroe's classic Blue Grass Boys makes bluegrass a sort of country brand of bebop. The final insult for Monroe was when, in 1949, both the Stanley Brothers and Flatt & Scruggs signed with Columbia, Monroe's label. 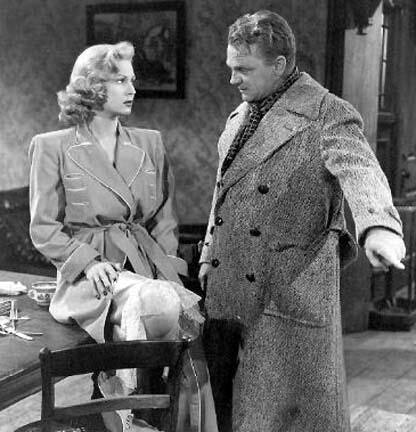 Disgusted, Monroe left for Decca. His last session for Columbia, on October 22, 1949, produced "Travelin' Down This Lonesome Road." The lead vocal is by Mac Wiseman, with Monroe, playing mandolin, coming in on high tenor for the choruses. Even deprived of the heart of his classic band, Monroe still came through with a great, unbowed performance. Was the intercine warfare between the great bluegrass players ultimately detrimental to the music's growth? Bluegrass never would become a truly popular music, remaining essentially a cult item until it was discovered by urban folkies in the '60s and since then it has taken the NPR-listening middle class as its patron. But its roots are venomous. You can find Monroe's final Columbia sessions on 16 Gems. I would recommend Columbia's 2-CD "The Essential Bill Monroe" except the set is far from essential--using the inscrutable, Masonic logic of record companies, Columbia has chosen to stuff the so-called "Essential" compilation with inferior alternate takes of many Monroe classics. A better overall compilation is The Music of Bill Monroe. The Flatt & Scruggs Mercury recordings can be found here (and you can buy records directly from Mr. Scruggs here); the Stanleys' Columbias are here. Coming on Friday--the end of the '40s. Break out the hats and hooters. "the simple undifferentiated desire: that was the force that would tear the Party to pieces." James Moody, I'm In the Mood for Love. As jazz began fading from mass popularity in the U.S., and especially at its commercial nadir in the late '60s and early '70s, many musicians could only find regular work and recording contracts across the Atlantic. American jazz geniuses like Dexter Gordon and Cecil Taylor, just to name two, often were kept fiscally sound thanks to the dedication of European fans and labels. James Moody was one of the first of the bebop players to make a go of it in Europe. Moody, born in 1925 in Savannah, Georgia, first got noticed in Dizzy Gillespie's big band in 1946. 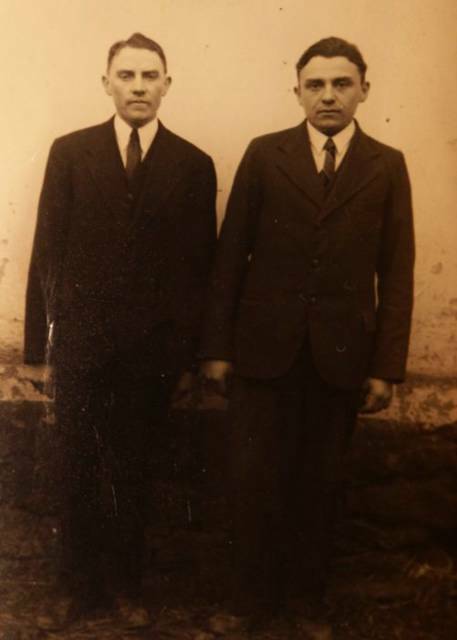 In late 1948, he went to Paris to live with his uncle--Moody's mother wanted James, who was hitting both the bottle and the benzedrine, to have a place to clean up. Moody figured he was going to Europe for a few weeks--he stayed until 1951. While playing at the Club St. Germain in Paris, Moody jammed with a Swede, Anders Burman, a drummer, enthusiast and record label owner, who afterward asked Moody to come to Sweden to record. In Stockholm, Moody and a group of Swedish players put down a number of great tracks, but the most indelible performance, Moody's take on "In the Mood for Love", happened as essentially a happy accident, spurred by Moody's whim to play the alto saxophone. "Lars Gullen had this beat-up alto sitting by him. I said, "You mind if I look at that?" He said, "No. Go ahead." So I picked up the alto and Gosta Theselius said, "Well, let me go in the restroom." So he goes to the toilet and he jots down the harmonies to "I'm in the Mood for Love" while he's there. And he comes out and we do it in one take. And the reason why it starts that way [he sings the "There I go, there I go" beginning of the solo], I'm hesitating because I didn't play alto then, I played tenor. So when it started, I'm just trying to find the notes. And people said, "You must have been inspired." My inspiration was coming from trying to find the right notes! That's what it was." 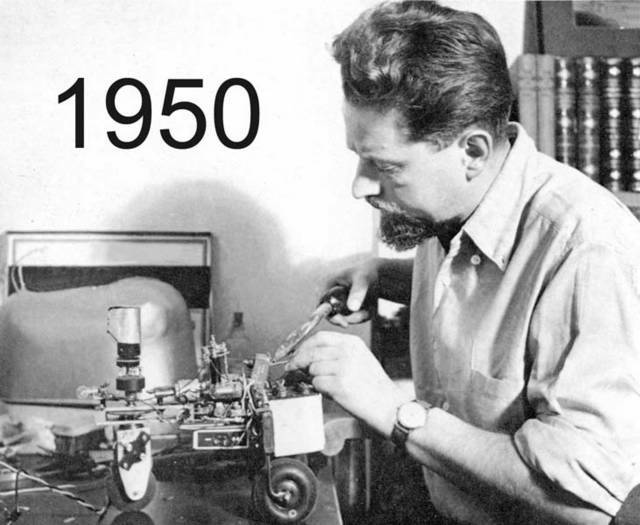 Recorded in Stockholm on October 12, 1949 for Metronome. With Moody and Arne Domenerus on alto sax, Leppe Sundwall (t), Gosta Theselius (tenor sax), Per-Arne Croona (baritone sax), Thore Swanerud (p), Yngve Akerberg (b) and Burman (d). The classic Moody Stockholm sessions can be found here. You can buy other CDs from the man himself. And Moody at 80 years old is still on the stage--scroll down for his 2005 tour dates. His next show is in Savannah, on March 19, and then he'll be in New York at the Blue Note from March 22-27. 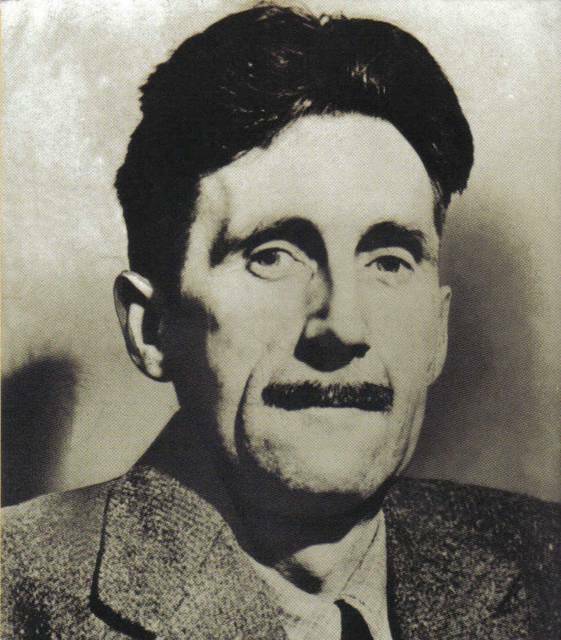 I wonder if Orwell would have appreciated the grotesque, ridiculous irony of Big Brother becoming the name of a television program in which people volunteer to be monitored by cameras and gleefully undergo sensory deprivation and other forms of mild torture. I'm just glad he never had to consider it. Stick McGhee, Drinkin' Wine Spo-Dee-O-Dee. Harry (the Hipster) Gibson, Who Put the Benzedrine in Mrs. Murphy's Ovaltine? Uppers and downers for the weekend. The struggling independent label Atlantic finally hit paydirt. A New Orleans DJ in late 1948 started playing an old single on Harlem Records that had flopped when it had been first released the year before. Suddenly, listeners were going crazy for it. Atlantic's Ahmet Ertegun heard about the demand, and went to buy the master recording so Atlantic could re-release it nationwide. He couldn't get the masters, so he did the next best thing--found the artist, Granville "Stick" McGhee, and asked him to re-record the song. "Drinkin' Wine Spo-Dee-O-Dee", which the Rev. first featured back in December, was a song McGhee had written in the army, though "spo-dee-o-dee" replaced a more colorful phrase. Recorded on Valentine's Day, 1949. You can find it here. As a bonus, here's Harry the Hipster's ode to benzedrine (James Bond's drug of choice), from 1947. We're wrapping up 1949 next week with some jazzbos from Sweden and the bluegrass civil war. Steel yourself for the 1950s. In the old songs, adultery was matched with death. Songs in which, for example, a husband kills his wife for straying ("Matty Groves"), or a woman murders her lover for looking elsewhere ("Love Henry") had been a staple of popular music since the Middle Ages. But WWII, which had spurred so many hasty, ill-advised marriages, had at the same time provided a worldwide setting for a colossal number of affairs and had abetted experimentation in all forms (there was an Onion headline from one of their fake 1940s newspapers that read something like "War Over: Let's Forget Our Homosexual Experiences"). So when soldiers returned from the war to face women they hadn't seen in years, and with each unsure as to what the other had been up to, relations between the sexes had far more shadows than in the past. "Cheating songs" have become a country music cliche, but at the time, songs like Floyd Tillman's "Slipping Around" were fairly radical in their subtle, amoral approach to a subject that folk music had once taken so deadly serious. The narrator and his woman have to live in fear of being discovered, but they're not going to stop and no one seems to be judging them. Tillman, along with Ernest Tubb, can be credited with spreading honky tonk beyond its Texas origins. Honky tonk was loud, pulsing music meant to be heard on a jukebox over the din of a Saturday night barroom. This was music for a new generation of displaced Southerners who had gone in search of work west to Texas and California, and north to Detroit and St. Louis. Its subjects generally were drinking and romance--the singers excelled at the former and failed miserably at the latter. Note from the Mgt. : For those blessed with Turner Classic Movies, Nicholas Ray's They Live By Night is airing on March 8. 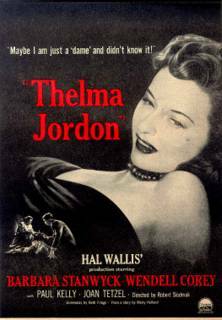 The film is, appallingly, unavailable on DVD or even VHS, so this is the only form in which one can see it these days--it is well worth your time.